The story of BINZ + BRATT could easily have started a century ago. At that time there was a Mr. Binz in Germany and a Mr. Bratt in Sweden who both promoted the moderate consumption of wine and alcohol in their respective home countries. Dr. Carl Binz (1832-1913) initated the first clinical stuy of the positive effects of a moderate consumption of wine. Dr. Ivan Bratt (1878-1956) was the founder of the alcohol monopoly in Sweden which is committed to product quality and advocates the moderate consumption of alcohol. Was Ivan Bratt familiar with Carl Binz’s studies or could it be that the two of them actually ever met one another? Both are possible, but we do not know for certain – at least, not yet. Just over 100 years later we have another Mr. Binz in Germany and another Mr. Bratt in Sweden who are both occupied with the subject of wine and alcohol. However, as we know, their paths have already crossed. Joachim Binz, born in 1965 in Trier, has been in the wine trade since 1982. At the age of 35 he founded his own business in Wiesbaden which specializes in the export of high quality German wines. Thomas Bratt, born in 1954 in Storfors, started his carrer in a different field and only switched to the alcohol trade at the age of 39. He founded a veritable and highly acclaimed import-house for alcohol in Sweden. The first time Joachim and Thomas met on a professional basis was in the early 1990s. As both of them respect and hold each other in high esteem, the business relationship soon developed into a real friendship. They had the idea of producing a wine collection together for many years, but good things take time. 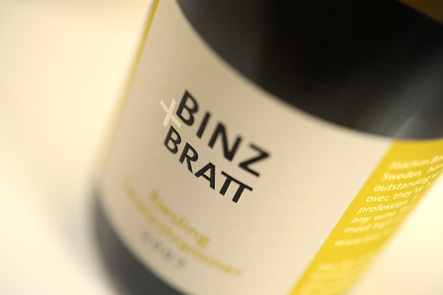 The first collection of BINZ + BRATT wines was brought out onto the market at the end of 2008. 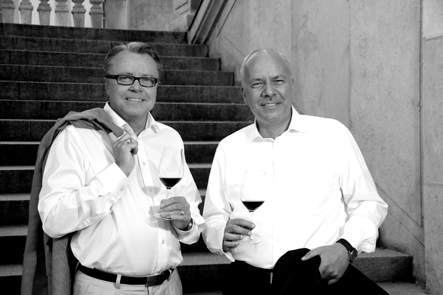 Joachim Binz and Thomas Bratt have unanimously stated that: “Our objective is to produce wines, which are a pleasure to drink and at the same time of a consistently high quality. We believe that we have achieved this with our first wines and therefore do not hesitate to offer it to our best friends at every opportunety. We have not put our names on the label on grounds of prestige, but far more to show our personal commitment to the product”.